Today heralds the beginning of a new Church Year, ushered in by the First Sunday of Advent. Advent is a time of Expectation, a time to Prepare for the Birth of Christ. As with any major event, a little bit of organisation aids tremendously in success. Inspired by Gae’s Advent/Christmas Bumper Ideas Edition and Jenn’s Prepare Now posts, (posts which I often refer too) I thought to collate our previous plans and celebrations into a semblance of order, as we begin Advent. *ETA: List is continually being updated, last updated November 2013. I can see Tomie dePaola's books on your list!!! We love these so much. Such beautiful pictures and all those authentic Catholic details. They are enjoyed by everyone regardless of age. We love the Tomie dePaola books too! And, we have most of the Catholic Mosaic books, which are, of course, such a treasure. This year, we've begun a Jesse Tree – first time we've done one, and we're really enjoying it. I downloaded the book from Ann Voskamp's site, at: http://www.aholyexperience.com/2011/11/free-jesse-tree-advent-family-devotional/ It's an absolute gem! Hope to catch up with you before Christmas – must organise a BBQ one day. God bless, Linda. Can't believe I haven't been recording the celebrations as much as the ideas! I clicked on the link to your "definitely not snowing here" Advent wreath and had to laugh. As someone used to skating and skiing at Christmas it's quite different imagining one with heat, BBQs, or beach trips in the Southern Hemisphere. 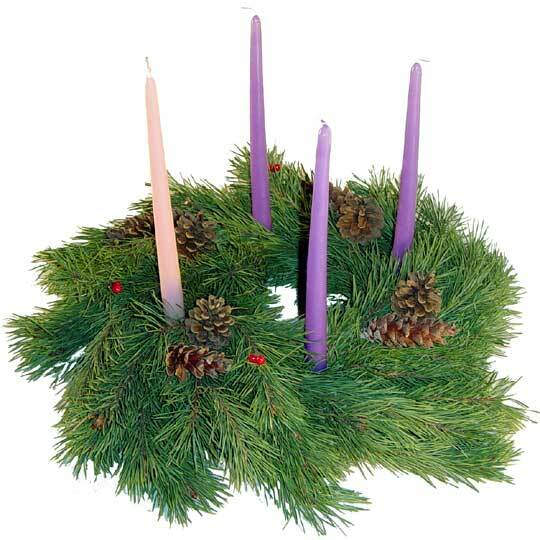 It looks like you arrange a beautiful and meaningful Advent for your family!